Townships are a product of Michigan’s early history. Historians believe American township government was modeled after the English system of government. Settlers in New England developed small communities that delivered local services, while a county served as the administrative arm of government. When the Erie Canal opened, many New Yorkers migrated to Michigan and brought their form of government with them. While you might hear local units in Michigan referred to as “cities and towns,” that’s actually incorrect. Michigan doesn’t have towns—it has townships, cities and villages, with townships governing 96 percent of Michigan’s land area outside of cities. In fact, in Michigan, if you don’t live in a city, you live in a township. Michigan is one of 20 states that currently has some form of township government. In Michigan, it is often difficult to discern the differences between townships, cities and villages. There are two types of townships in Michigan—general law and charter townships. Charter township status is a special township classification created by the Michigan Legislature in 1947 to provide additional powers and streamlined administration for governing a growing community. A primary motivation for townships to adopt the charter form is to provide greater protection against annexation by a city. Currently, 138 Michigan townships have opted to become charter townships. The state of Michigan has 1,240 townships, which vary considerably in geographical size and population. Based on 2010 U.S. Census figures, township population in Michigan varies from 10 to nearly 100,000 people. Township government is conducted by a township board consisting of either five or seven members—a supervisor, clerk, treasurer, and two or four trustees. The number of trustees is determined by the desires of the township residents, and whether or not the township has a population of over 5,000, or 3,000 registered electors or is a charter township. The township board may also hire a manager, assessor, police or fire chief, superintendent, and other necessary personnel to properly and efficiently operate the township. All Michigan laws are available to the public on the free, searchable Michigan Legislature website. The laws can be searched by keyword, or Michigan Compiled Laws (MCL) number, such as "41.721" or "42.8". There are additional statutory requirements with which townships must comply. Procedures for the township’s financial administration, such as budgets, accounting, investments and deposits, are closely regulated by the state. Township meetings must comply with Michigan’s Open Meetings Act (MCL 15.261, et seq. ), and township records must be stored and made available in conformance with specific laws, such as the Freedom of Information Act (MCL 15.231, et seq.). The Michigan Constitution and state statutes limit the amount of property tax millage that townships can levy for general township operations. General law townships are allocated at least 1 mill from the constitutionally limited 15/18 mills allocated among townships, the county, public schools and the intermediate school district. Charter townships, like cities, do not share in this allocated millage, but townships chartered by a referendum may levy up to 5 mills. Townships chartered by board resolution after Nov. 22, 1978, must have a vote of the electors authorizing the levy of up to 5 mills. In either case, the 5-mill limit may be increased up to 10 mills with a vote of the electors. Along with counties, cities and villages, townships receive payments from the state, called constitutional revenue sharing. 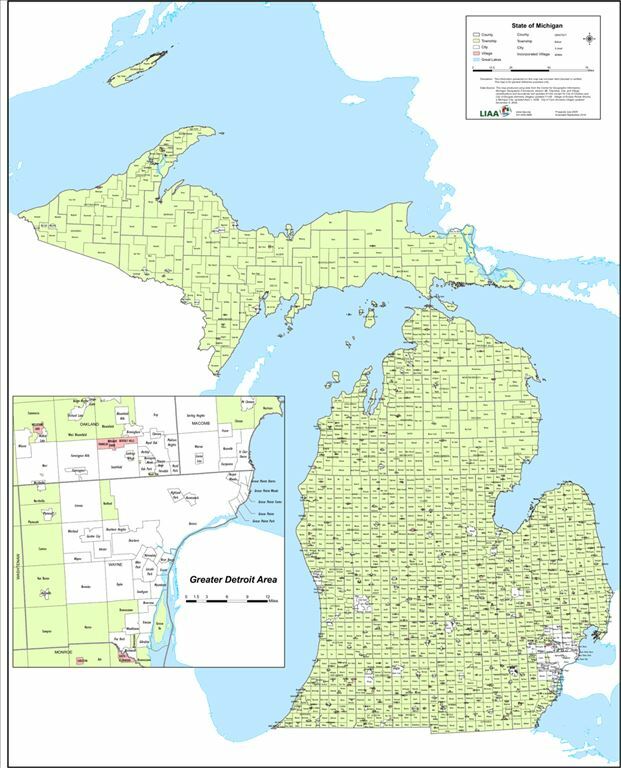 The Michigan Constitution allocates a portion of the state sales tax to be distributed to local units on a per capita basis, using the last decennial census to determine population. The Legislature has also allocated an additional portion of the sales tax to be distributed to local units, in lieu of the income and single business taxes no longer being collected. Just a fraction of townships are eligible receive this second type of state-shared revenue, City, Village and Township (CVT) revenue sharing payment.